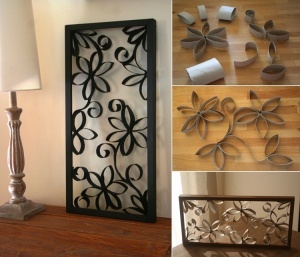 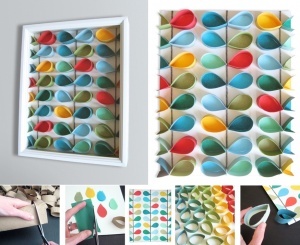 Mollee at Mollee Made has shared a stunning and colorful wall art she has created by making petals of sliced paper roll tubes and then painting and gluing them to a canvas that has colorful petals of colored paper already glued. 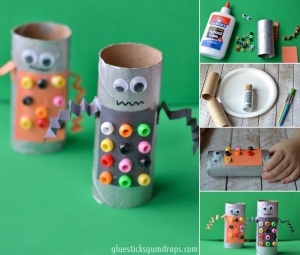 Donella Crigger at Glue Sticks Gumdrops has created these super cute robots with silver painted paper roll tubes, beads, construction paper and googly eyes. 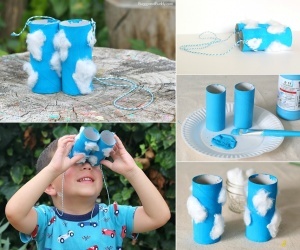 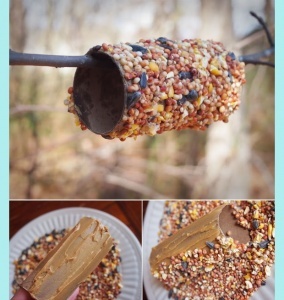 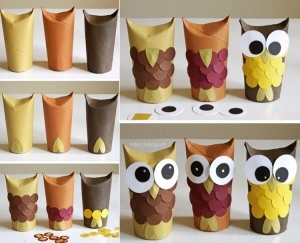 Topp Kreativ blog has shared a craft of making some really beautiful owls from empty paper roll tubes. 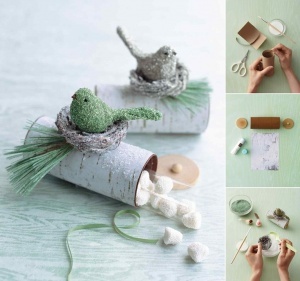 All you need to do is to cover the paper roll tube in construction paper and then attach punched discs of colored paper to make feathers and eyes and cut a beak too from colored paper and voila! 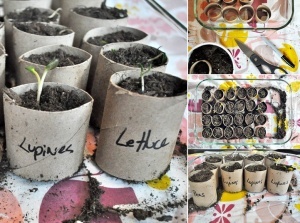 If you are about to grow plants in your garden and you need seed starter containers then this idea by We Know Stuff is worth giving a try. 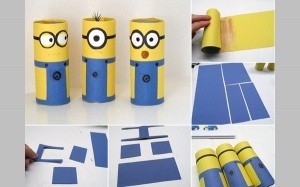 All Free Kids Crafts has created these minions by covering cardboard tubes in yellow construction paper and then made the overalls with blue construction paper. 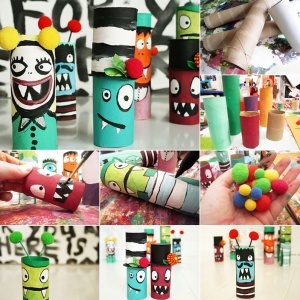 The eyes were created with white paper and a black marker. 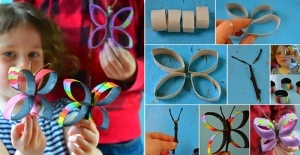 Maureen at Twig and Toadstool along with her kids has crafted these lovely butterflies that you can try crafting with the help of your kids for the coming spring. 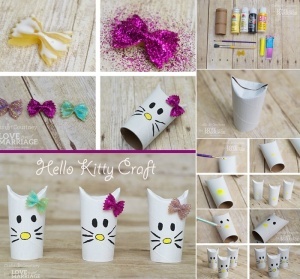 Courtney of Crafts by Courtney a guest at Love and Marriage Blog has shared a super cute tutorial of making hello kitties using painted paper rolls and glitter coated bow pasta. 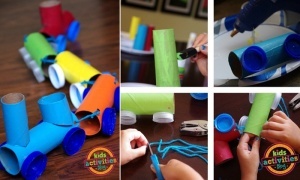 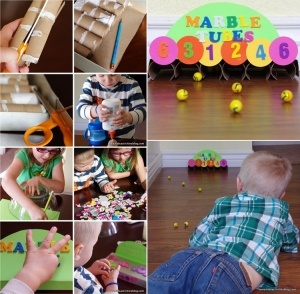 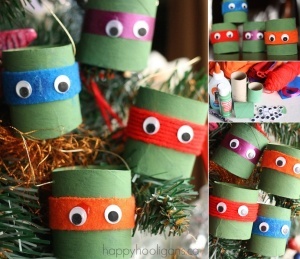 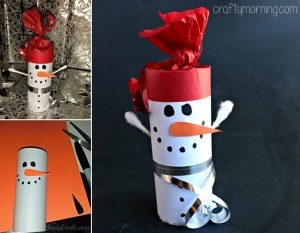 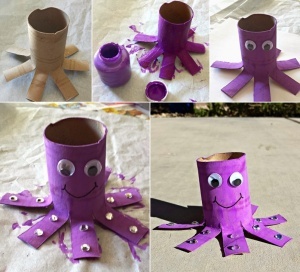 You can try making this craft with your kids as it is super easy to create and will surely be loved by your kids. 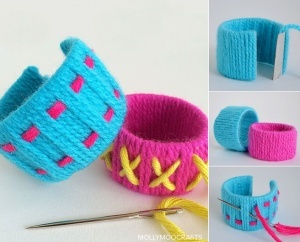 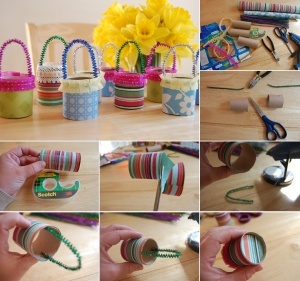 The Fab Miss B Blog has shared a tutorial for making mini decorative baskets using wrapping paper and paper roll tubes.